One of the most basic problems in the philosophy of science involves determining the extent to which nature is governed by laws. This volume presents a wide-ranging overview of the contemporary debate and includes some of its foremost participants. It begins with an extensive introduction describing the historical, logical and philosophical background of the problems dealt with in the essays. 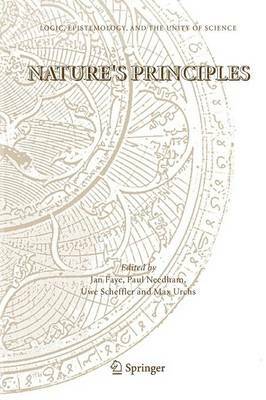 Among the topics treated in the essays is the relationship between laws of nature and causal laws as well as the role of ceteris paribus clauses in scientific explanations. Traditionally, the problem of the unity of science was intimately connected to the problem of understanding the unity of nature. This fourth volume of Logic, Epistemology, and the Unity of Science tackles these problems as part of our consideration of the most fundamental aspects of scientific understanding. "... In einer glanzenden ... Einleitung wird der historische, logische und philosophische Hintergrund der einzelnen Essays dargestellt. ... Wichtige Fragen werden ... von Ausnahmen und Randbedingungen aufgeworfen ... eine glanzende Bestatigung ..."